22 countries represented by 41 delegates were present at the World Administrators Summit (WASummit), hosted by International Management Assistants (IMA) in Frankfurt, Germany. The atmosphere was amazing. Delegates were well prepared and there was energy, commitment, research and enthusiasm for the topics on our agenda. We are going to look at the outcomes reached and what these will mean to you, the administrative professional. The initial topics discussed were the research reports on the three topics from the 9th WASummit in 2015. The full reports are on our website www.worldadministratorssummit.com. These reports provide the underpinning research for much of our new work. The three topics are International Credentialing, International Position Titles and International Networking. This topic was broken into two stages and undertaken through “desk top research”; looking at what qualifications are currently available in the world for administrative professionals. Wendy Rapana, the team leader, presented the conclusions and recommendations from this report. The most significant recommendation was that this topic requires further work to address stage 2. All the recommendations were accepted with minor wording amendments. The research already undertaken and the new stage 2, work link very closely into the new topic on “Position Descriptions and Career Pathways”, which we will discuss in a subsequent article. WASummit Delegates to recognise that we are part of an international framework to identify and advocate for relevant nationally recognised qualifications for administrative/office professionals’ roles listed on individual countries National Qualifications Frameworks (NQF) around the world, and professional development and training organisations and/or courses (non-NQF) that meet the ongoing needs for the development of administrative/office professionals focused on future-proofing the profession on the international stage; this may lead to strategic partnerships and sponsorship opportunities for the WASummit. Encourage all Administrative/Office Professional Associations to take responsibility for their own education and their own country’s National Qualifications Framework Authority (if they have one), and become involved in the development, revision and/or oversight of relevant qualifications (NQF) for administrative/office professionals i.e. Business (Administration) qualifications. Encourage associations and individuals to embrace “Administra – World Action Plan” to progress the goals and objectives; thus, supporting robust and ongoing professional development for administrative/office professionals, to keep ahead of the ever-changing business environment with a future focus. … a benchmark to set a standard for International Credentialing and apply to administrative roles within an international framework. Initially further development of the objective will be required to clarify the aims and objectives, but will include designing an International Credentialing process and policy within the international framework being advocated, and include all nationally recognised Business (Administration) qualifications (NQF), as well as higher level other (non-NQF) training/professional development options (including professional certifications, etc) for administrative/office professionals. This report was presented by Dawn Becker, delegate for Canada who was part of the Team, as the Team Leader was unable to attend. Data for this research came from the Advisory Council international survey conducted early in 2018. The survey on “Position Titles, Tasks and Networking” received 3000+ responses from 60 countries. We believe this is the largest international survey conducted where the topic was focused on administrative professionals. The huge amount of material gathered also provides a basis for the new topic of Position Titles and Career Pathways. The Chairman proposed that, as this topic is very complex, the recommendations provided are not ones we can easily vote on. At this 10th WASummit we are discussing the skill-sets that go hand in hand with position descriptions and titles considering every part of the world. The Chairman suggested that as the recommendations of this report are only a beginning, delegates are asked to vote on a single new recommendation, that this Report forms the basis for further discussions on Position Titles later in this 10th WASummit 2018. This was accepted. A new task force has been developed and we will discuss their work in a subsequent article. This report was presented by Marion Lowrence, a Team Member and Delegate for the UK, as the Team Leader was unable to be present. The material for this report was a part of the above-mentioned survey by the Advisory Council. The research data showed very clearly that the preferred method of on-line networking was through Linked-In. The research recommendations in the report required minor wording amendments and were then accepted. 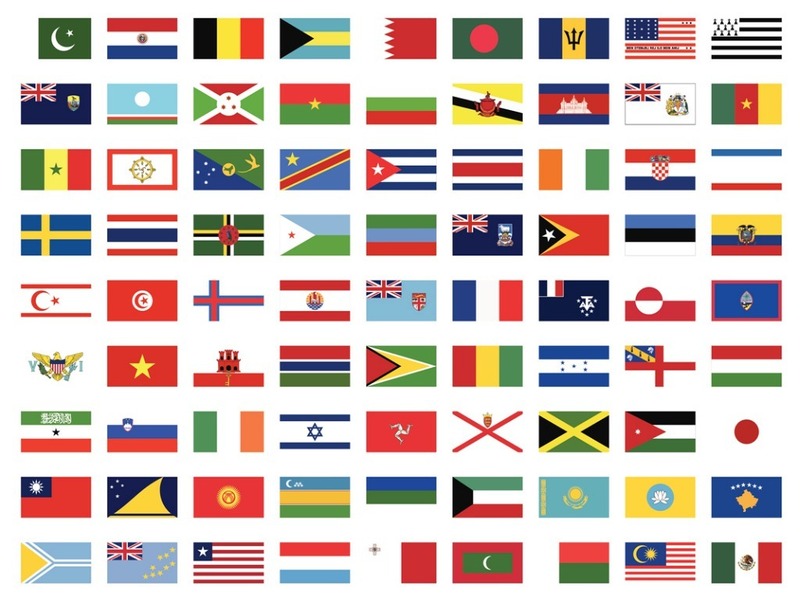 This forum/group should aim to include a representative from each country in the world. Entry to the LinkedIn group will require codes of conduct for joining. The group should be used as a vehicle to recruit administrative/office professionals from every country in the world, particularly those countries that do not currently connect with or participate in the World Administrators Summit. Social media campaign and World Administrators logo to be used to encourage visibility of the platform. Create hashtag/s to promote the group globally to encourage new administrative/office professionals to join and “network”. Content must be relevant to all (key issues, training, challenges, and discussion is needed about the “relevance” to each country as these will vary greatly in terms of need and cultural fit, and of course language and geographical location). We believe that brief online “polls” throughout the year are a good way to garner direction in terms of content and needs. This online platform could have quarterly “virtual” events or introductory events, e.g. : whereby administrative/office professionals can share best practice, learn from each other’s experiences. Also consider keynote speakers/trainers quarterly. Data capture for the group will belong to WASummit Advisory Council and must be securely protected. The group to be moderated by WASummit Advisory Council or council members globally. The platform should not be used as a market-place to “sell” for any 3rd parties, eg: selling places at conferences or selling products unless authorised by WASummit Advisory Council. The group should be branded as a stand-alone entity “World Administrators Group/Members”. The aim of this task force would be to create a truly global network in terms of reach; effectively becoming the one place where the “voices of administrative/office professionals” are heard, allowing us to “Speak with one Voice”. These three reports were the result of research and a huge amount of work, by all three teams. It is important that everyone understands that the research and other work undertaken by the Advisory Council and its members is all voluntary. This work is undertaken alongside paid employment, family and other commitments often for their own professional association. This work is focused on providing all administrative professionals credible and valuable information to help them value themselves and the work they do day to day. Both the international credentialing and the international position titles work provides a basis for new work being carried out by focus groups right now. The immediate benefit to you is that there is now have available, through our website, credible research material specifically about your profession, which you can quote and use for your own research and requirements. A difficulty for many administrative professionals is that their work has not been defined for itself, it is often defined as part of something else/some other role which it does not quite fit. You can now check these reports and quote from them when and how fits with your own requirements. The full benefits from these reports will come through over the next few months as the new focus groups use this material to inform their further discussions and research to build a matrix of levels, skill-sets and titles; however, that is for the next article. The international networking work has led to a focus group being developed to provide your own Linked-In closed networking group. There is a plan to run polls on many topics, an endeavour to provide material of interest to you where you can both access material and contribute your own material. Entry to this group will require signing of a “Code of Conduct” to be developed by the focus group. More details about this will be put on our website.